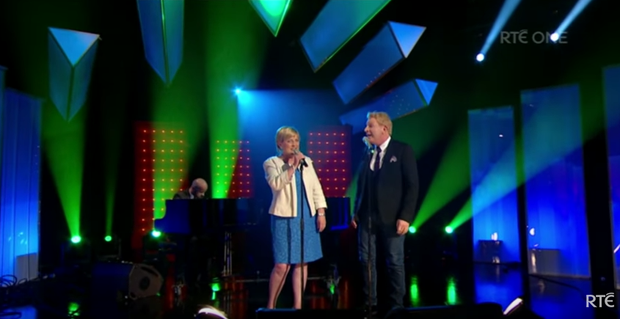 A terminally ill woman who has captured the heart of the nation in recent weeks said that performing with singer Tommy Fleming on RTE was an extraordinary experience. 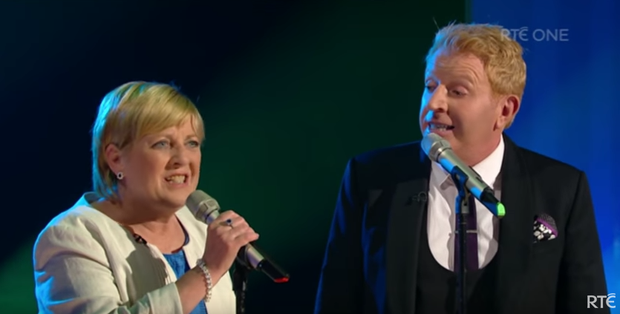 Anne Herlihy (54) appeared on Saturday Night with Miriam where she spoke about her experience with ovarian cancer and sang Both Sides Now on stage with the Sligo singer. “I’m absolutely wrecked. It was such a wonderful night. I learned the words as best I could in the time, but thanks be to God for autocue,” she said. “Tommy was staying in the same hotel as my husband and I, and when we went to studio we did three or so run throughs. It was fantastic. I’ve always been a fan and not a night goes by that my husband doesn’t have Tommy playing on Youtube,” she said. The positive mum-of-two said that humour has helped her through her tough diagnosis and said it broke the ice with RTE producers who were called upon to see to her fake tan disaster. “A few words of advice, do not put instant fake tan on an hour before you go on telly! I came out and asked my husband what he thought, and he said ‘Your legs are all streaked’. Our car was on its way so I just jumped into the shower and did the best I could, but the make-up team had some job to do on me. It broke the ice,” she said. 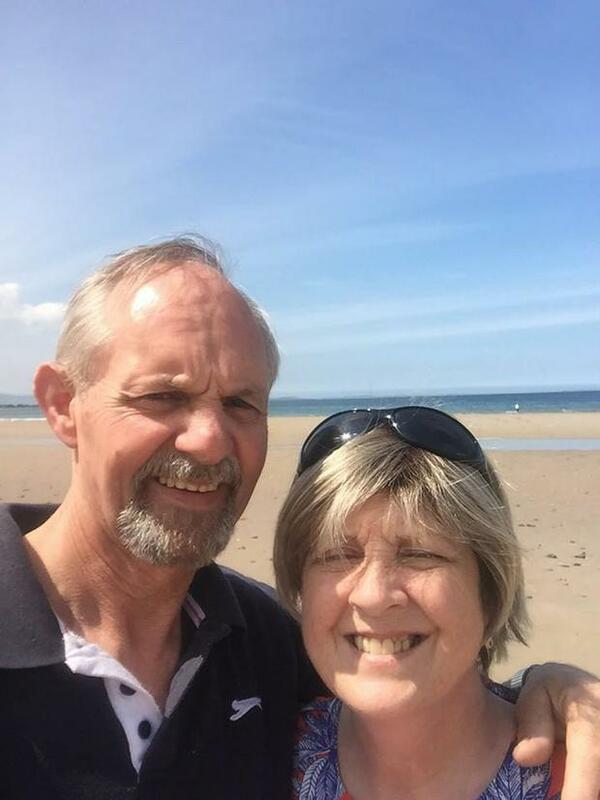 Anne, who was diagnosed with ovarian cancer in 2014, said it’s been strange to hear people say she is an inspiration. “The day after the show PJ and I were walking along St Stephen’s Green and one of the artists just came over to me and said ‘I just want to shake the hand of the most inspirational woman ever’. The Charleville woman revealed that she hoped to learn the words to Both Sides Now and tick it off her bucket list, which she did in spectacular fashion on Saturday night. The list which also holds a dream to fly a plane and take a driving lesson. “I have an offer to go for a flying lesson, so I was just waiting to get permission from my oncologist which I have now. I’m going to a quiet and peaceful driving lesson with a local instructor, Martin Hennessy, down here too,” she said. 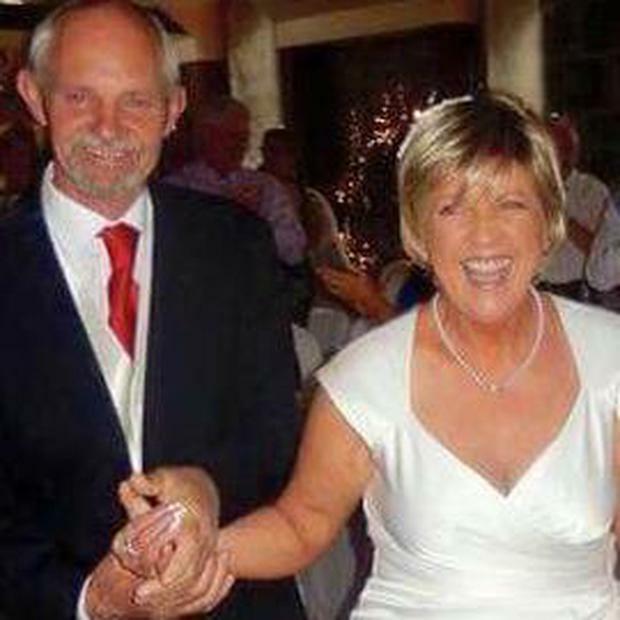 Anne first come to public attention after she featured on Liveline on RTE Radio One to talk about how she could not secure travel insurance to go abroad because she is terminally ill. The granny and her husband PJ now plan take a campervan to the road and travel around Ireland together. “One of the producers the other night said that it was the best idea my husband ever had and she was right. There are so many places in Ireland I haven’t seen yet and now is my chance. "I'm just an ordinary woman, living an ordinary life, that has cancer but cancer doesn't own or define me. "People who have cancer live in dark places at times and sometimes for me it feels like I'm looking at my day through curtained windows. I am unable to see what lies ahead. But you know what? I don't want to see what lies ahead anymore as I'll miss the moments I have right here and right now," said Anne.